I'm calling this coffee and cream to go with the overall 1970s vibe. Anyway, I do love a discharge tee - this is when instead of paint being screen printed, a bleach is screened over the tee so the design is actually bleached out of the tee shirt. Looks "well cool" and in this case creates a very subtle effect. Awesome. 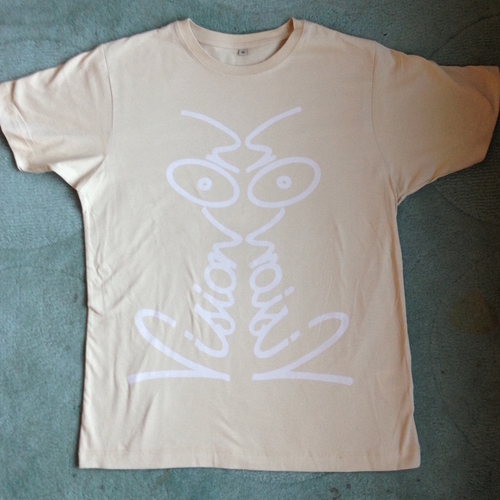 Very limited as always, and discharged onto a high quality 100% organic cotton Continental Brand tee shirt. So top quality radical printing and top quality tee shirt too.